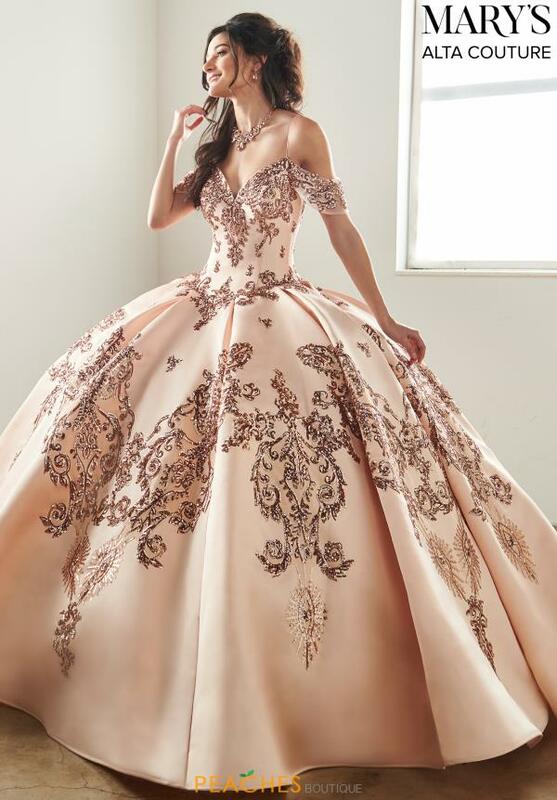 This enchanting ball gown dress MQ3025 is sure to have you turning heads at your special event. Made in a beaded bodice that showcases a modest v neckline and intricate off the shoulder sleeves. 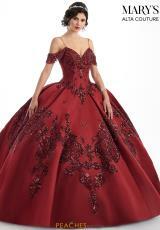 A full skirt flares out at the waist as it features beautiful lace appliques. Matching tulle cape included.